All papers for WiSec 2017 must be submitted electronically through the HotCRP conference management system. All posters for WiSec 2017 must be submitted electronically through the EasyChair conference management system. Only PDF files will be accepted. Submissions must fit properly on US "Letter"-sized paper (8.5 x 11 inches) and must be prepared using the following ACM proceedings template. A minimal template for WiSec 2017, can also be downloaded from here. For more information and alternative formats (e.g., word), please refer to ACM proceeding templates. Full paper submissions must be at most 10 pages in double-column ACM format (note: pages must be numbered), excluding the bibliography and well-marked appendices and at most 12 pages overall. Committee members are not required to read appendices, so papers should be intelligible without them. Short paper submissions must be at most 6 pages overall formatted in the same way as full papers. Opinion paper submissions must be at most 3 pages (excluding references) overall formatted in the same way as full papers. Registration requirement: All accepted papers should be presented at the conference. Therefore, at least one author of each accepted paper must register to the conference at full (non-student) rate by the early date indicated by the organizers, and present the paper. If none of the authors of an accepted paper is registered by the indicated deadline, or the paper is not presented in the conference, it will be withdrawn from the conference proceedings. 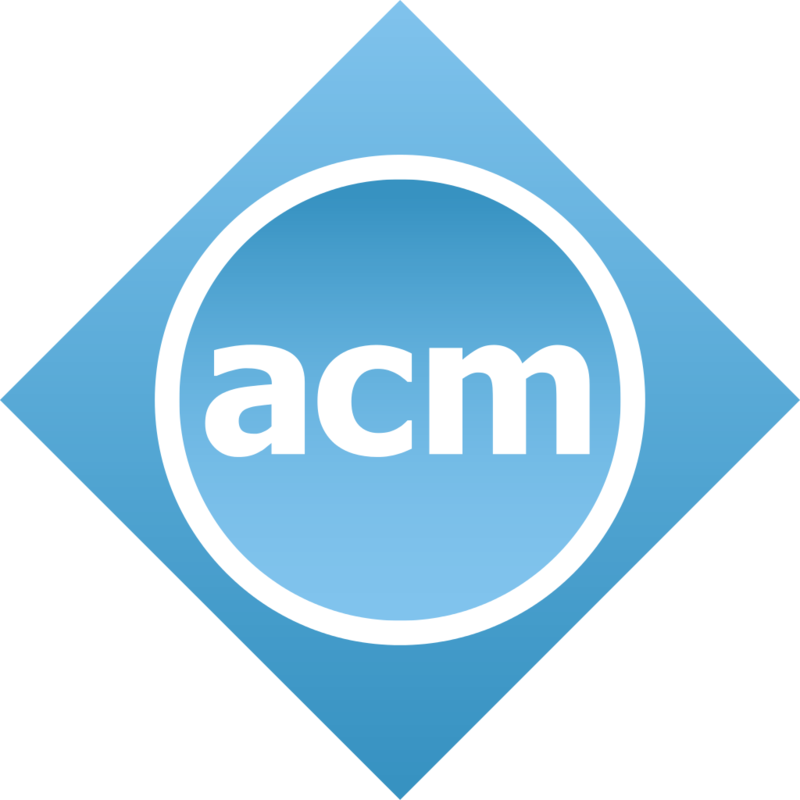 All conference proceedings will be published by ACM. Camera ready submission: Upon acceptance, authors must sign a copyright transfer statement. The contact (lead) author(s) will receive an email containing the link to ACM rights management form and instructions on how to complete their form. As rights management emails are sent from an automated system, there is a chance that emails sent will wind up in SPAM folders. Please make sure that SPAM settings allow emails from "rightsreview@acm.org. After completing the rights management form, authors will be emailed the correct rights text and bibliographic strip that MUST be placed within their camera ready. ACM has implemented a new set of TeX and MS-Word authoring templates, available at http://www.acm.org/publications/proceedings-template. This new consolidated template package replaces all previous independent class files and packages and provides a single up-to-date LATEX package with optional calls. The package uses only free TEX packages and fonts included in TEXLive, MikTEX and other popular TEX distributions. Authors MUST format the camera ready using the new template (please check to have not included packages that change the type fonts) and submit both source files plus camera ready PDF. For posters, authors should submit a two page extended abstract that provides sufficient technical detail so that the evaluation committee can assess the technical merit of the work. The poster abstracts do not have to present completed work, but at the same time should provide enough concrete evidence to support the potential and validity of the proposed ideas. For demos, authors should submit a two page extended abstract that describes the technology that they have developed, the relevance to wireless networking and security, and which also highlights the novelty of the prototype. For demonstrations, the abstract should include an additional page that describes what conference participants will be able to see or do during the demonstration. Demonstrations should have a research component and, in particular, should not push a commercial agenda. Both types of abstracts should follow the ACM WiSec 2017 formatting guidelines (with a 2 page limit for posters and a 3 page limit for demos), , and authors should refer to the paper submission instructions for information related to formatting. Abstracts of accepted posters and demos will be distributed to conference participants. The demo session will have a table per demo, power and wireless connectivity available. If a demonstration requires special arrangements, please note them in a separate email to the session chair parallel to submission. Please submit your poster or demo proposal through the EasyChair (poster) conference management system. Note: all poster titles should begin with the keyword "POSTER: " and all demo titles should start with "DEMO: "
Registration requirement: At least one Poster/Demo author must be registered, at student, member, or full rate, and present the poster/demo.